Festivals are always about going above and way beyond your average, everyday look! Don’t be afraid to step out of your comfort zone when it comes to your outfits. Get even more experimental when it comes to your makeup looks! Sure, you’ll get a little hot and sweaty out there in the dry, dusty desert. But a festival look that’s on point from head to toe is a visual fashion oasis among a sea of boring basics! 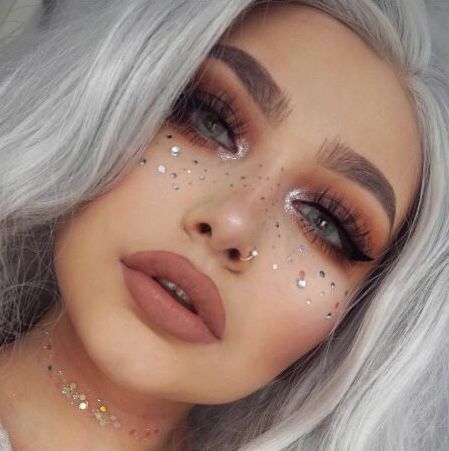 Step up your faux freckles game with gold specks, silver glitter, iridescent gems, or all of the above! Simply get some beauty glitter or gems and apply across your cheek bones. 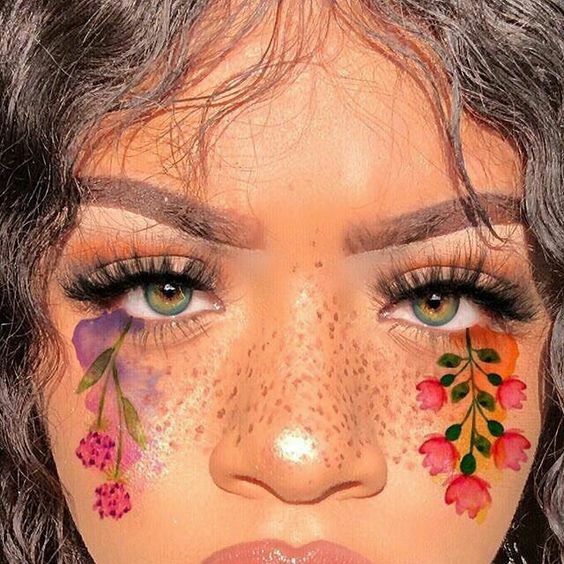 Not only these sparkly beauty marks will add that extra glow on your skin, you'll stand out in a sea of regular faux freckles! 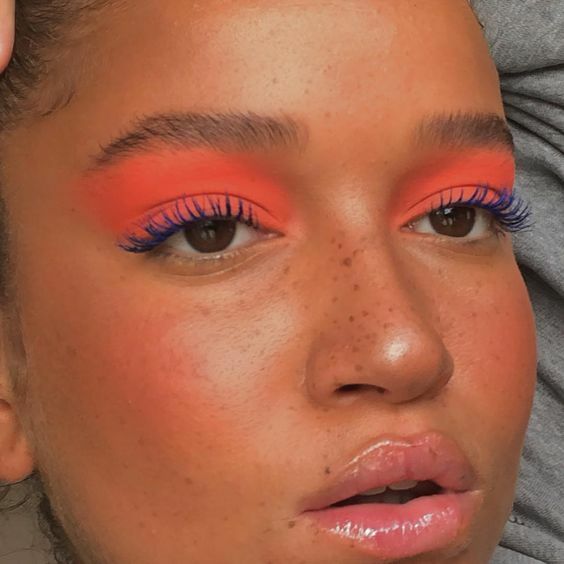 Light up the desert with this electrifying lewk!Since neon is so in right, why not incorporate these vibrant hues into your makeup? 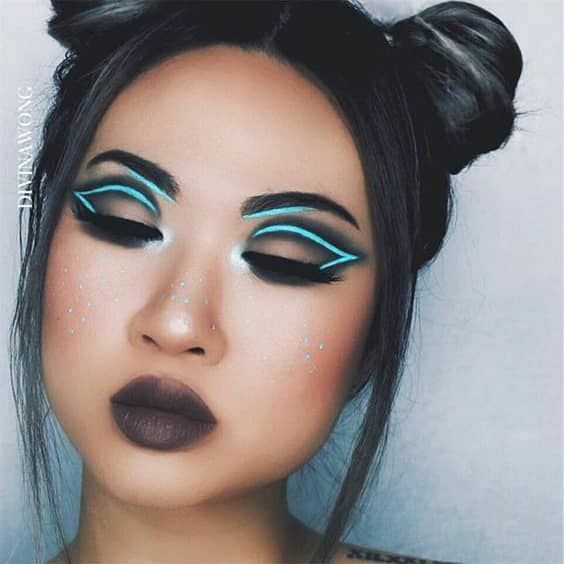 Bring the drama with a cut crease, intensified with black eyeliner, or play with a soft smokey eye in one solid shade, paired with a contrasting mascara. Either way, you'll be making up a statement as a trend-setter and beauty queen at the biggest spring event of the year! 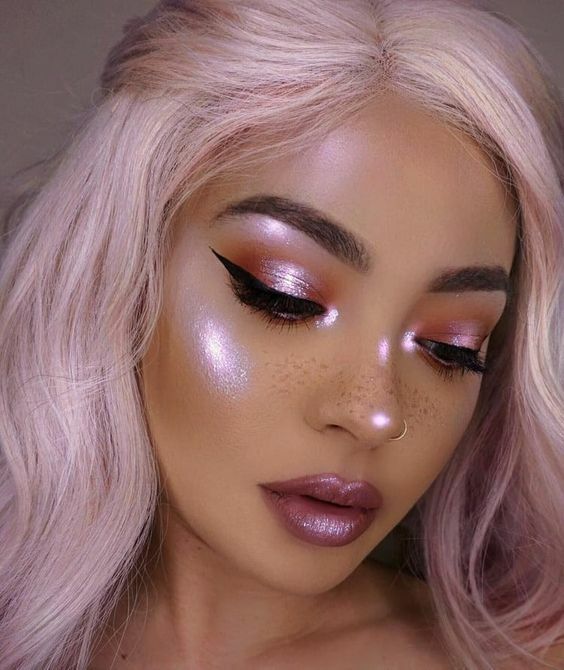 We're forever obsessed with this unicorn and mermaid-inspired trend. This weekend, swap your favorite gold/pink highlighter for an iridescentpalette. Apply on top of your cheekbones, browbones, over your cupid's bow,the tip of your nose, on the inner corners of the eyes, and anywhere else your heart desires! 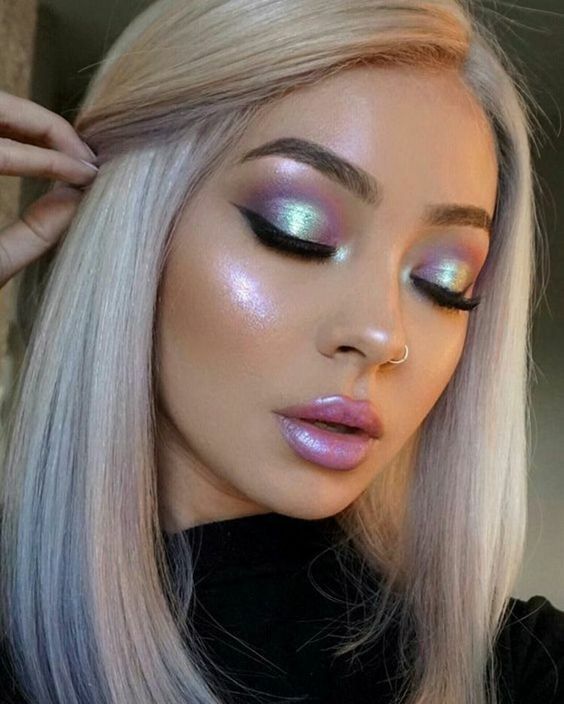 This ethereal look will go perfectly with our iridescent collection, so what are you waiting for? Transform into a magical creature this festival season! Ditch your flower crown because that's so 2017! Instead,bethe flowers with this insane trend: face art. 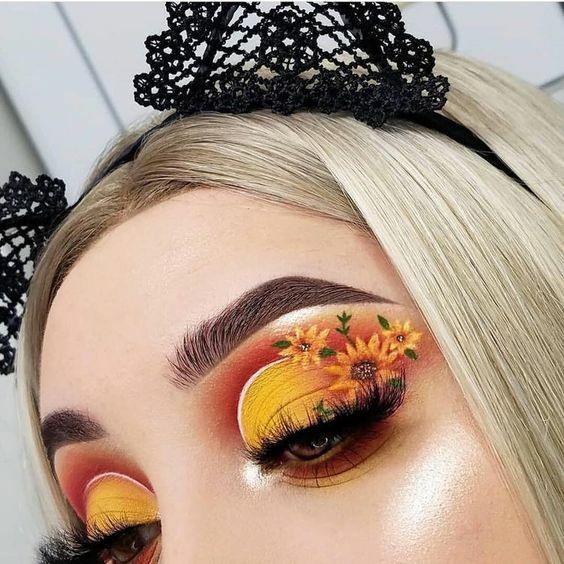 Whether it's a dainty bouque of sunflowers on your eyes or a masterpiece on your cheeks, express your creativity and artistic skills at the festival! Don't feel like you're limited to just flowers either. Experiment with everything that you can think of: dreamy clouds, cosmic constellations, funny emojis, geometric designs, and more. 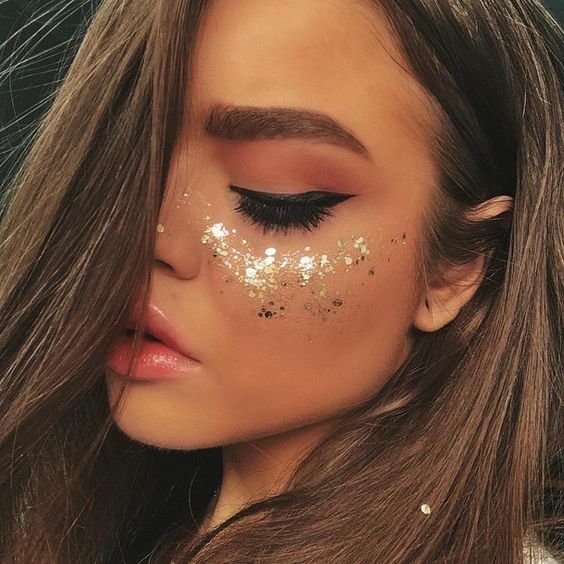 Which makeup look will you try at the festival? Don't forget to shop our festival collection here!